A prominent and distinguished Baltimore African-American attorney, real estate broker, and politician. He was educated in Baltimore City public schools and graduated from Howard University Law School. As a friend of James Cardinal Gibbons, he provided advice to the Cardinal on matters pertaining to African-American Catholics in the Archdicese. Monumental Bar Association of Baltimore City. Location. 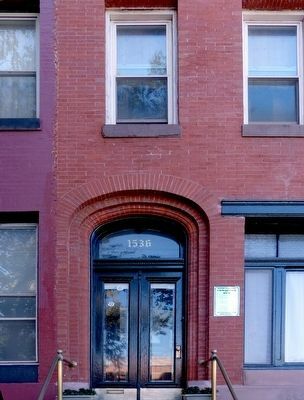 39° 18.284′ N, 76° 37.839′ W. Marker is in Baltimore, Maryland. Marker is on McCulloh Street (Maryland Route 129), on the right when traveling south. Touch for map. 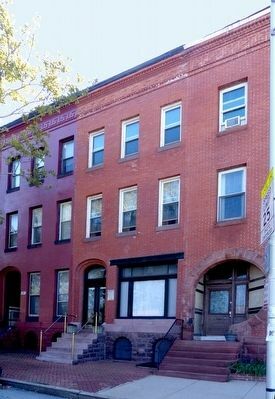 Marker is at or near this postal address: 1536 McCulloh Street, Baltimore MD 21217, United States of America. Touch for directions. away); American Legion Federal Post No. 19 (about 400 feet away); Community Growth and Faith (about 700 feet away); Creating an African American Neighborhood (about 800 feet away); Thurgood Marshall House (approx. 0.2 miles away); Rev. Dr. Vernon Nathaniel Dodson Memorial (approx. 0.2 miles away); Henry Highland Garnet Park (approx. 0.2 miles away). Touch for a list and map of all markers in Baltimore. 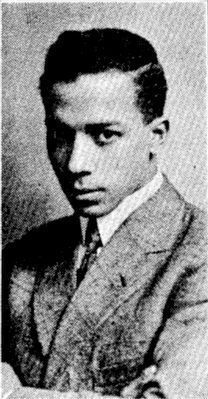 Photo from a clipping taken from the Afro-American Friday, December 6th, 1918. More. 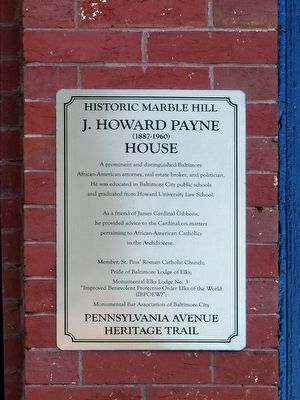 Search the internet for J. Howard Payne (1887-1960) House. Credits. This page was last revised on June 16, 2016. This page originally submitted on October 12, 2015, by Allen C. Browne of Silver Spring, Maryland. This page has been viewed 408 times since then and 4 times this year. Photos: 1, 2, 3, 4. submitted on October 12, 2015, by Allen C. Browne of Silver Spring, Maryland. • Bill Pfingsten was the editor who published this page.